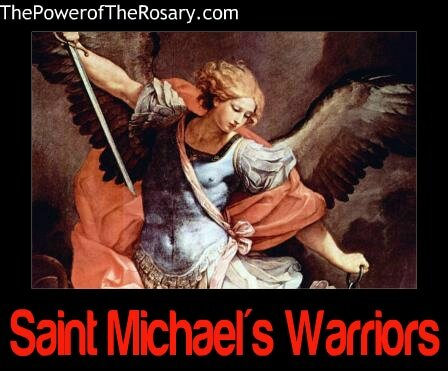 A Rosary Miracle During a Long Car Ride! A few years ago we had to go on a long trip driving and it was not for vacation so that made it even harder. What we usually try to do is pray our daily family Rosary while driving if we are all together. It makes the trip grace filled and it seems to make the time fly. Well thank God time was flying slowly because right after we finished praying our Rosary all together we were led as a family to undertake a great mission to inspire children to become Saints. 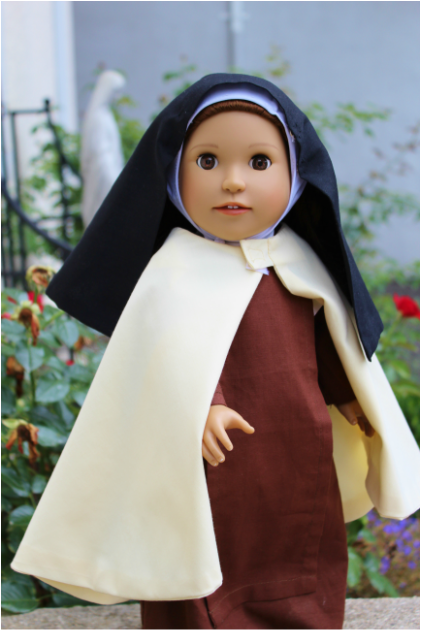 The conversation started with, "Why isn't there any Beautiful 18 inch Saint Dolls being made for children that come with a book. My three girls and my wife have all collected and played with dolls all their lives and I had my dolls too, just we called them action figures. So we are a doll lover family and wondered why no one was doing it at all. Soon our wondering turned to passion for this idea and by the time we came back from the trip we had plans for at least five saint dolls that we would love to make with accessories and everything. It took us almost a year and a half to work out the details but before we knew it we had our small family business up and running and inspiring children throughout the world to become saints. 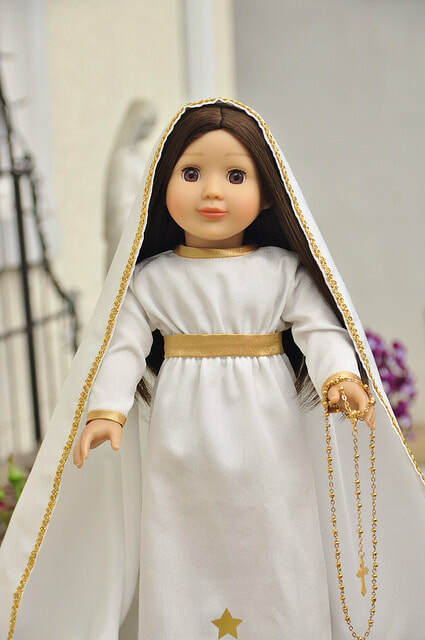 Now we are working on our fifth doll to hopefully come out next year and just launched our greatest saint doll ever, Mary of Nazareth with a new outfit coming for her in May, Our Lady of Guadalupe. 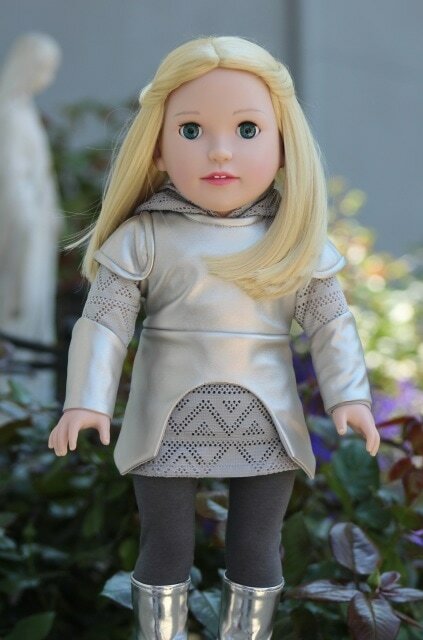 We also have so many other dolls that you have probably heard about through our many social media outreach efforts to reach every child in the world. If your church could put out catalogs that would be a great way to reach more children and inspire them all. 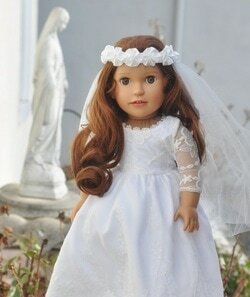 Also if you know any children you want to inspire now is a great time especially for First Communion. We are having an Easter Sale with 15% the entire store with coupon code RISEN. 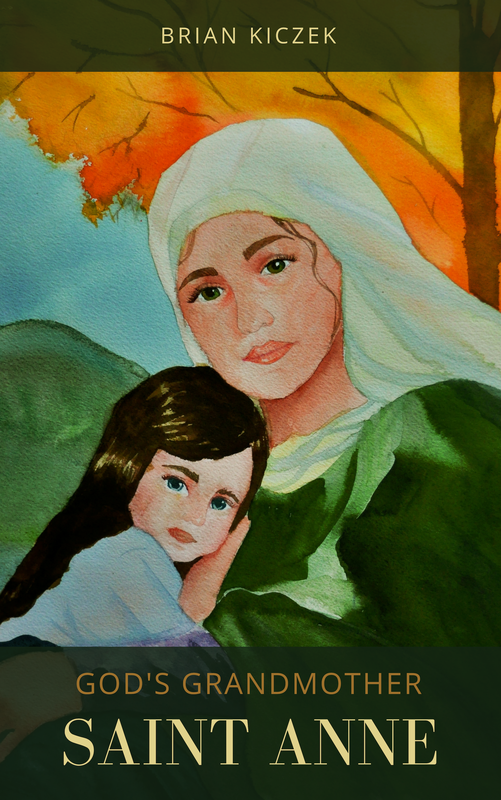 ​ The Grandchildren of Saint Anne was formed to have everyone adopt Saint Anne as our grandmother. Through this adoption we are sure to obtain many, many graces as she is the mother of the "Mother of All Graces" and through her intercession we are sure to obtain all that we ask for as long as it is in the most loving, merciful will of God. Devotion to Saint Anne is second only to devotion to Saint Joseph among faithful Catholics since the beginning of the church. Our Lady herself told one of her servants to add to her daily Rosary, One Our Father and One Hail Mary in honor of Saint Anne, Our Lady's holy mother. ​ She also said, "Those who honor Saint Anne will obtain great aid in every need, especially at the hour of death." Our Lady also said to another, "The honor you show to my mother is doubly dear and pleasing to me." 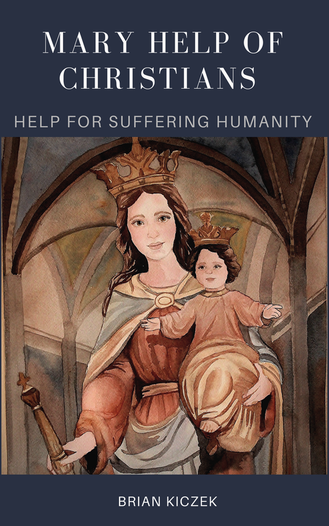 Our Lady appeared to a hermit who was filled with bitter anguish of spirit and prayed to her for help, Our Lady said, "Since you are lovingly devoted to me, I will take away all your grief and sorrow of soul, but I admonish you to venerate and praise my dear mother also, if you desire great graces from me. I am highly pleased with the affection accorded to my beloved mother. Know too, that my Son, Jesus, has promised to deliver from misfortune all who honor my mother and to assist them in attaining eternal glory. My son, practice this devotion and make it known." Saint Anne please adopt me as your grandchild, Love me as you love Jesus and Mary, pray for me as your grandchild, and always be my consoler, my advocate. Reconcile me to God. Console me in all my trials; strengthen me in my struggles. Deliver me from danger in my time of need. Help me at the hour of death and open to me the gates of paradise. Also pray for all the intentions of your Grandchildren throughout the world (state your intention). We ask this all in the Name of Jesus and His Holy Mother Mary, Amen. An Our Father, A Hail Mary, the Memorare to Saint Anne and the Grandchildren of Saint Anne prayer. Takes 2 Minutes A Day. Worth the Chase is Worth the Read! This wonderful book is for anyone who is preparing for or looking for the true love in their life. The message of the book is that person is Jesus, through love from Him and personal preparation you will also eventually find the one God has prepared for you for all time to be together with. This book was written for young woman and men to inspire them to have the courage and strength to wait for true love instead of the many illusions that mimic love. Walking out from my comfort zone to the edge of the unknown was one of the toughest decisions I’ve ever made in my life. But just the thought that women can discover their real worth after reading this book makes it the wisest decision I’ve made so far. This book isn’t just for women! So there ladies, you can buy two or more copies: one for you and one as a gift to your boyfriend. May this book bring out the priceless jewel in you. I pray that you realize your real worth not by seeing yourself in the eyes of men but in the eyes of God. May this book transform you into a man after God’s own heart. I pray you lead women closer to God while protecting their purity as well as your own. Not all good things are meant to last, because good is often the enemy of the best. in too many failed relationships. I want you to leave your past behind. Yes, learn from your past failures but don’t dwell on them. matter what and He wants you to experience the perfect love only He can give. When you feel like the world is on your shoulders, when you see no glimmer of hope, when you can’t find the courage to stand, kneel and tell God: “Father, I’m tired, can you give me a hug?” Close your eyes and feel tremendous peace from His loving embrace. make you grow. Stop doubting yourself. If you doubt your capabilities, then you also doubt in My power. I have given you gifts My child. Every good gift will bring you to your mission. Continue to make a difference in the lives of others. Live for others My child. I love you and NOTHING can change that. Your Dad, Almighty God. before my own. Just by knowing that your delicate feet fit perfectly in your new shoes makes me feel like I’m wearing the most expensive shoes in the world.” My heart melted. than anything else in this world: HIMSELF. You see, the first move isn’t finding Mr Right but striving to become Miss Right through God’s grace. Instead of praying for God to deliver your prince charming straight to your doorstep, strive on becoming the woman that suits the prayer of a man who longs for a woman of substance and character. 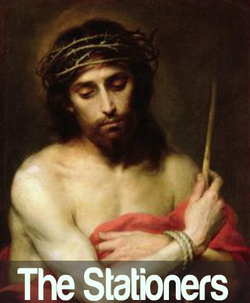 My fellow Rosary Devotees, I would like to share with a book I reviewed written by Sacerdotus who witnesses daily to the truth of the Catholic Church. His book is a basic Apologetics book to get you up and running to defend your faith against all those who would try to take it away. The best way to keep the faith is to spread it. 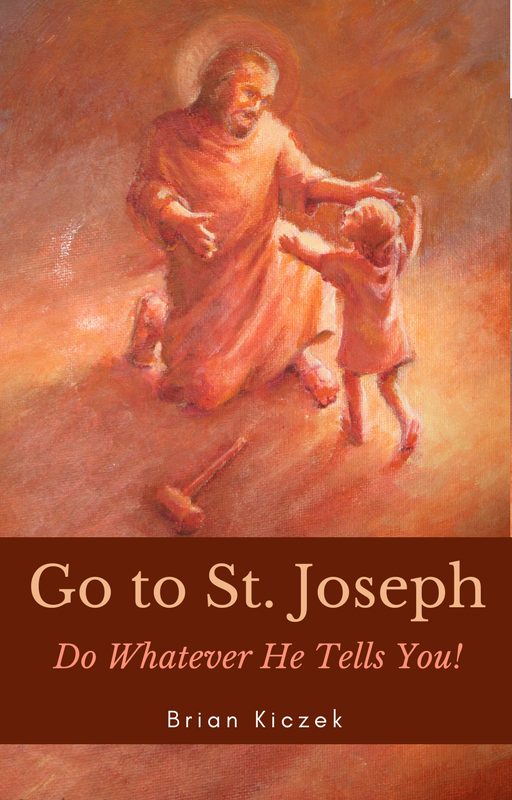 This book will help you do just that by breaking down a lot of attacks against the truth of the Catholic Church. Here is a excerpt that I felt hit back against Solo Scriptura which is the fallacy that one only needs the Bible and nothing else. In reality, we need the Church (Magisterium), Bible and Tradition. The Magisterium teaches the truth found in the Sacred Deposit: Sacred Scripture and Sacred Tradition. She is the “pillar of truth” as we read in 1 Timothy 3:15. Since the Catholic Church is the foundation and pillar of truth, then it makes sense that only the Church can interpret this truth and present it to the world. Scripture itself states that its contents are not open to personal and private interpretation (2 Peter 1:20). In fact, we see in Acts 8:30-31 how the Ethiopian man needed the help of Philip in order to understand a reading from the prophet Isaiah. Hebrews 5:12 tells us that we need someone to teach us Scripture. This task belongs to the Church with her bishops who are the teachers of the faith (Luke 10:16; CCC 888; Lumen Gentium 25, Dei Verbum 10). When Sacred Scripture is interpreted freely by individuals, this results to irrational doctrines and 26 heresies which discredit Christianity. Moreover, this leads to the founding of new sects with each claiming to be the "true church." The magisterium of the Church is needed in order to give the authentic interpretation of Scripture via the guidance of the Holy Spirit who is the Paraclete or Helper (John 14:16). We see in Sacred Scripture how extraScriptural sources are used in order to resolve doctrinal issues. In Acts 15 verses 1 though 14, we read of how Peter sorts out the issue of the necessity of circumcision without relying solely on Scripture. This book will help you defend the faith against Solo Fide, Our Lady, devotion to the Saints, the Rosary, the Papacy, Confession, Holy Eucharist, transubstantiation, sacramentals, answering atheists, the inquisition, the crusades, Galileo, the Gospels validity and the Bible, Pro choice debunked, and Marriage vs. Gay Marriage. You will be armed and ready with logical defenses of the truth. This will help you to understand and defend your faith more and more. 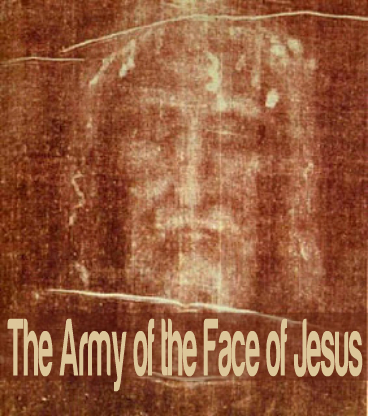 Get this book to arm yourself against many of the attacks against the faith and to explain the faith better than ever before to your friends, family, and all those who desire to know the truth found in the Catholic Church. 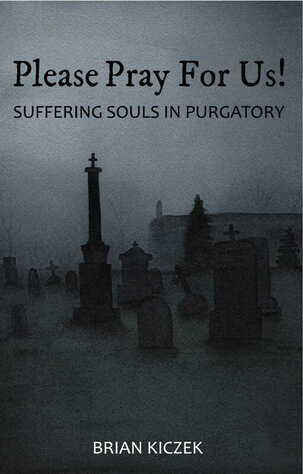 Also Gretchen Crowe's (Author of WHY THE ROSARY? WHY NOW?) idea to pray the Rosary Together with an Accountability partner. This hashtag will be #RosaryTogether. I believe the Fatima 100th Anniversary is going to mark the greatest turning point in the history of the world (Besides the Birth and Death of Christ). The Culture of Life will replace the Culture of Death shortly. The 100 year reign of Satan predicted by Pope Leo XIII or witnessed by him will be coming to an end. It will not be the end of the world but the beginning of a new one. 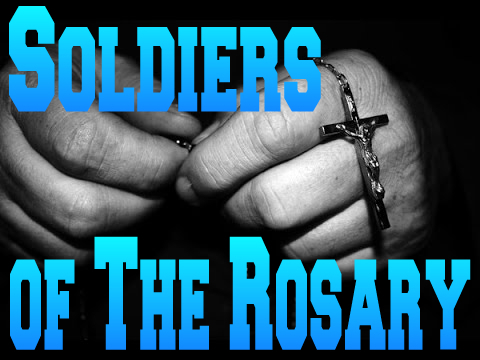 All those who love the Rosary and Our Lady of Fatima know that through the Power of the Rosary we will obtain peace. It starts with yourself so start praying the Rosary everyday and have someone else join with you so that way you can motivate each other to keep it up. Also join us for the Greatest TwitterStorm Ever to Promote #Fatima100. ADD YOUR OWN SUGGESTED TWEET IN COMMENTS BELOW! I believe because I Live. that prayer is what it is all about. From "A Cross to Bear"
He wants to share our load. and leads us on our road. not just those whom we select. Love the kids, give them a choice. Stand up for those who have no voice. Don't try to "fit in,"
the best thing is to pray. From "My Castle of Stone"
and what your demons would be. and have thus, set you free. From "What I Want For Christmas"
is lasting peace on Earth. 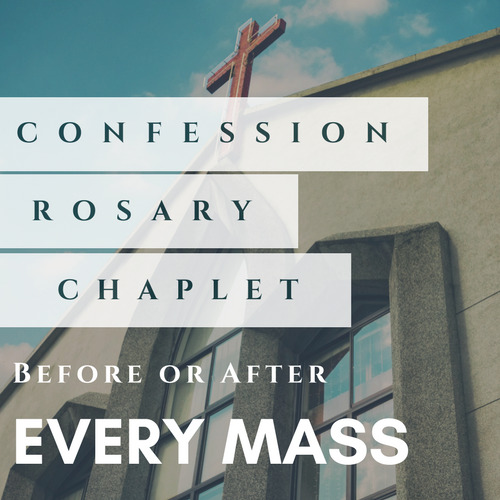 Confession, Rosary, Chaplet: Before or After Every Mass! 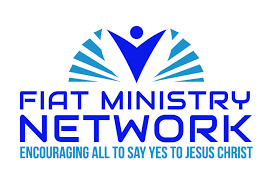 The goal of this group is to create a movement of prayer throughout the world to have Confession, Rosary, and Chaplet before or after every Mass! The CRC Movement! This will make Confession much more available for everyone! Confession right now is usually only available at different times on Saturday. By having Confession before or after Every Mass, you may not need to have to have a separate time for confession, so this may give priests more time. There is no better time spent by a priest than in Confession or Mass, so this brings them both together like never before. Priests will notice Mass attendance will go up as people will come from far and wide if they know they can get Mass and Confession at the same time. Making Confession more available and convenient will bring more graces for everyone. If you are excited about this idea, join our group who will pray and work that every church will have this before or after every Mass. Before or After Every Mass is a perfect time to pray the Rosary as "The Greatest method of Praying is to pray the Rosary!~St. Francis De Sales. Thus, there is no better way to prepare for Mass and thank God after Mass than to pray the Rosary. 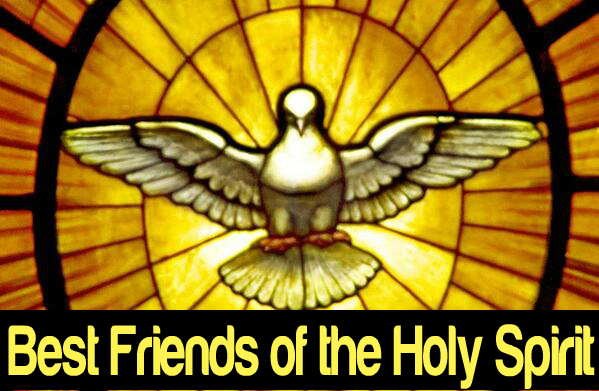 This will join the parish together like never before as "A Parish who prays Together, Stays Together!" 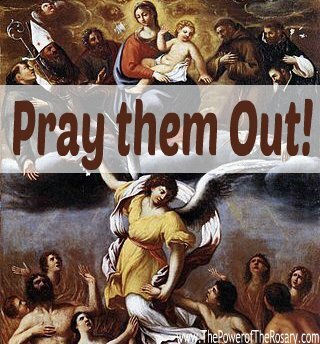 This will eliminate many distractions such as people talking to each other in church when the purpose should be to pray for graces and mercy from God. "Somebody who says his Rosary alone only gains the merit of one Rosary, but if he says it together with thirty other people he gains the merit of thirty Rosaries. This is the law of public prayer. How profitable, how advantageous this is! "~St Louis De Montfort AMAZING GRACE! Praying the Rosary as a group is very powerful. Also, preparing for Mass and thanking God after Mass is so important and these prayers will help us accomplish that. Now you can prepare and thank God in the best way possible and get the graces of many many Rosaries as well. For the Rosary or Chaplet, you may ask the pastor if you can start this before the Mass or after the Mass as I feel it is the best time to pray it. I did this for the first time today Friday, July 28, 2017, and received the grace to form this group from it, so It is Powerful. 10-15 people prayed with me, so I got the grace of about 15 Rosaries and Chaplets and after we had prayed so many people came up and thanked me and said they needed that grace today. They hugged me and said they were praying for me, I said I would do it every time I could see after mass with them and said that they could do it whenever I was not there, it would be great if they do! This was the start of the first Rosary, Chaplet after Mass and hope they have Confession soon! Below I will leave a list of all churches that have Confession, Rosary, Chaplet Before or after Mass so let us try to get every parish and mass in the world doing this! Spread the word and ask your priests to join us! Daily Prayer for Confession, Rosary, Chaplet Before or After Every Mass! Add your Church in Comments Section Below if you have Confession, Rosary or Chaplet Before or After Mass! This book is a modern take on the Spiritual Giant's St. Francis De Sales classic, "Introduction to the Devout Life" It comprises Ten Daily meditations so it takes about two weeks to properly read the book but only a chapter a day. I took about a month because of various challenges the devil threw in my path to have me not finish this book. It was worth the wait and effort as each day I felt my heart getting lifted up higher and higher. This is serious, our choices matter and eternity is the reward or the punishment. This book will help make sure you choose the right answer! Now I would like to leave you a bit of each chapter so you can get a good taste and get inspired to get this book for yourself and everyone you want to join you in heaven. 1. Rather than bargaining, competing, or fighting with God, embracing a deep awareness of God's power can open us to the most effective form of collaboration in the world: cooperation with the will of God. 2. God would prefer to do many things with and through us than without us. This realization is the entry point to cooperation with the plan of God. 3. In the gentle act of giving thanks, we find the soul virtuously humbled and pride uprooted. 4. Had a spirit of gratitude run deeper, perhaps you would have seen the gift God held out in seeking to intervene and thus save you from the sadness, the weight, the guilt of sin. 5. Once per month the Salesians has a day of recollection. They treat this day as though it were their last. They say their prayers as though it is the last time they will say them on this earth. They go to confession as if it were their last Confession before dying. They celebrate the Mass as though it were the last celebration of that sacrifice before they come face to face with God. The point, of course, is to jostle themselves out of the drowsiness that comes from worldly attachments and to pray and live like every minute counts. 6. Ultimately, freedom means we are free to choose our eternal residence- either with God or without God. 7. The delights we derived from our sinful pursuits would now appear so miniscule, and we would see that we traded the passing pleasures of earthly indulgence for the endless agony of eternal damnation. 8. How much more beautiful would it be if we knew this beauty could never fade or decay? Such in a glimpse, would be the bliss of seeing heaven. 9. You realize the whole truth and its powerful weight: you stand between heaven and hell. Each is open to you, wide open, and willing to receive you. You have the ability to choose, and you make the choice here, in this life. 10. The final fruit of the meditations is to commit to a way of life, what de Sales calls, "the devout life." It is a choice that must be renewed, refreshed, and reinvigorated daily, for it is the decision to bring that ultimate goal off the horizon and into all your daily movements and activities. Understanding heaven and considering it constantly throughout daily life is the fundamental and greatest fruit of these meditations.